York City Council are in the process of regenerating parts of the Shambles in Roman city York - Whip-Ma-Whop-Ma gate, Walmgate and Fossgate. 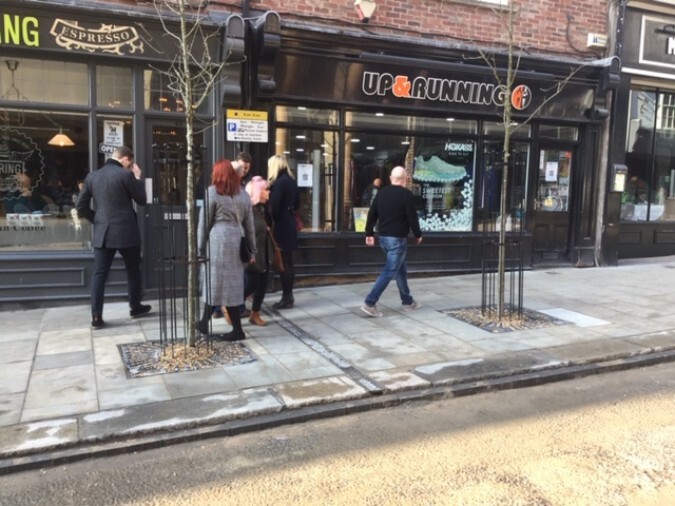 The Council has recently changed the direction of traffic along Fossgate to reduce the volume and overhauled the area which included relaying the road surface and repaving the York stone paths, widening the narrow footpaths, introducing street furniture and tree planting. All of which they hope will make the area more pleasing to the residents and attract more visitors to the area. Whip-Ma-Whop-Ma gate and Walmgate will receive their makeover at the end of March 2019. They appointed local company JC Trees to install the trees. JC Trees provide professional tree care to Councils, commercial and homeowners throughout Yorkshire. JC Trees is a long-standing client of Green-tech and put York City Council in touch with Green-tech’s specification team, gt Specifier for assistance with product demonstrations and technical information. Once the Council had decided which products were right for them. JC Trees took responsibility for installing them. Green-tech supplied everything needed for successfully planting a tree in an urban landscape setting. This included the AborRaft tree planting system which is strong geocellular units that lock together to form a raft system that sits within the tree pit and provides load bearing support. Green-tree Subsoil was used as well as ArborRaft soil; which in conjunction with the ArborRaft system eliminates compaction of the soil and growing media within the pit; offering an ideal growing environment for trees in an urban setting to establish and flourish. Green-tech’s new tree anchoring kit was specified to secure the trees. The Mona tree irrigation system was chosen because of its ease of install and effectiveness in delivering water to the tree roots at a consistent level. Gt RootBarrier was installed to protect the nearby utility pipes from future damage of spreading tree roots. It effectively controls the roots whilst protecting them from pollutants and acids in the soil. 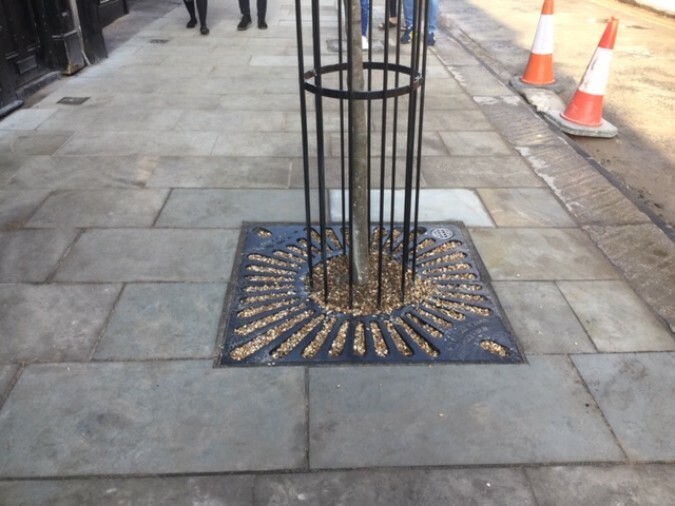 To finish, a contemporary cast iron tree guard and grille was installed with bespoke etching specific to York City Council.